Guest designer for the Lawnscaping Challenge Blog! Hiya! I’m the guest designer for November over at the Lawnscaping Challenge Blog! Just love any chance to sit down and play with my Lawn Fawn goodies! I jazzed them up even more by water coloring over top. I hand drew the trunk and colored it in. And then! I couldn’t resist adding some sequins from the collection, too! 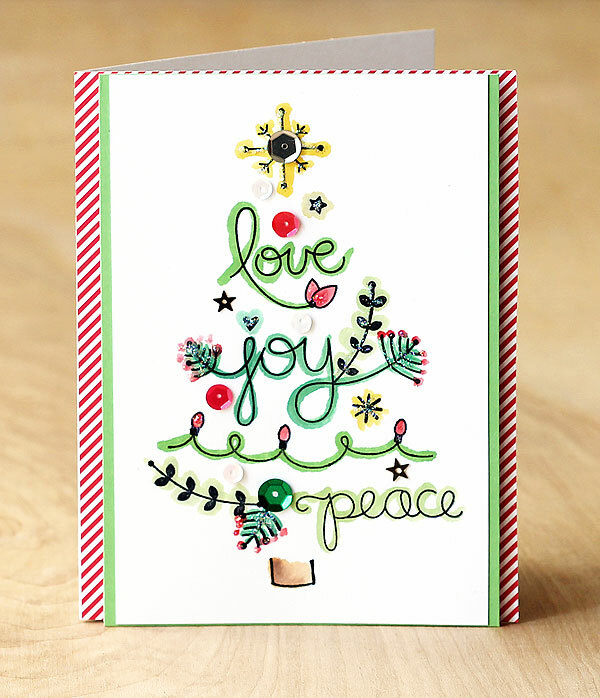 I finished it off with some paper from the coordinating peace joy love 6×6 paper pad — the peppermint stripes just kill me! Just love how this turned out! And! 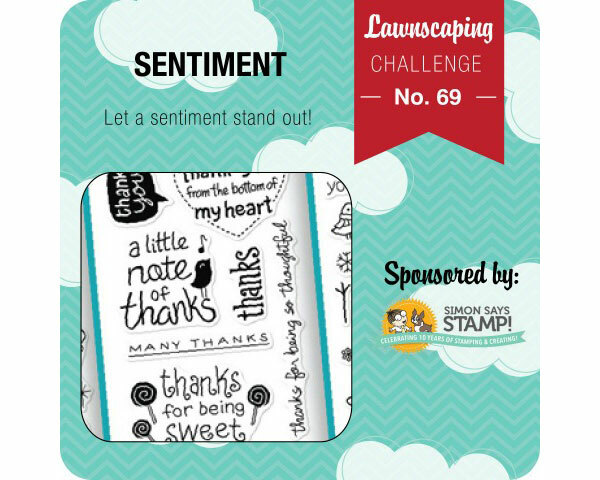 There’s still time to enter the Lawnscaping challenge — click on over here to find out more and see what the design team came up with! 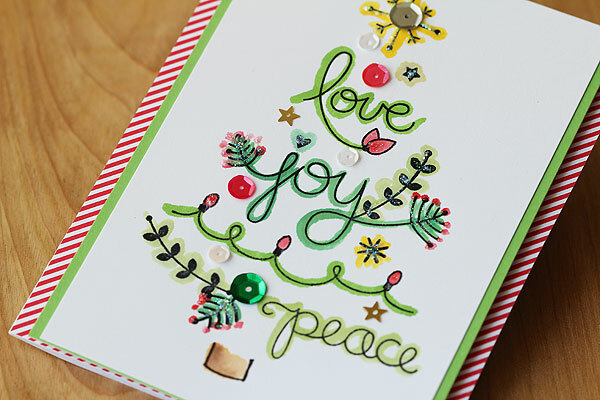 There are some fabulous cards using sentiments in creative ways! The winner will receive a gift card from Simon Says Stamp, woo! Clean and simple holiday card! I love this, Lisa! Such a gorgeous, creative design! Wow what an awesome card. So unique and super cute!!! Lisa, this is sheer delight! I ADORE your tree! Such a special card! Love it! So clever and so pretty! What a great use of this stamp set! I love it! What a fun and happy tree!! !